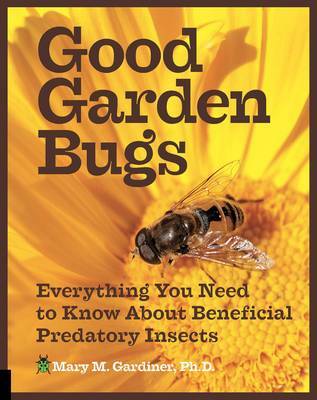 Book review: Good Garden Bugs. A quick book review today! Every gardener needs to be able to identify and understand the role of the most common insects in the garden – a difficult task, to be sure, but it can make a huge impact on the way integrated pest management is practiced. There are a myriad of excellent insect ID books out there – both general and regional in scope – but to my knowledge, Dr. Gardiner’s is the first to specifically cover only beneficial predatory insects. If you are trying to keep your garden as chemical-free as possible, a working knowledge of the insects described in Good Garden Bugs is essential, as they are your allies against any insect pests that might attack your plants. We’re all familiar with the role ladybird beetles play as voracious aphid feeders – but have you thought about how useful insects such as assassin bugs, lacewings, wasps, antlions, and the parasitoid flies are? What about arachnids such as spiders, predatory mites, and scorpions? How about the water beetles that can help protect your pond plants? Good Garden Bugs is easily accessible to the home gardener: the profiles of each insect offer sufficiently appropriate (not overwhelming) details about identifying features, distribution, and behaviour/habits. The full colour photography is outstanding and is a huge asset to anyone looking to make a positive ID of the six- or eight-legged critter found in the bean plants. I was particularly interested in the short discussion of the feeding habits of the insects, as the way that they eat (piercing, sucking, etc.) is important to consider when examining their effectiveness as predators. Excellent macro photos illustrate the various mouthparts. There are also good tips on designing an “enemy-friendly” landscape, including a useful list of attractive plants (focussing on natives and those with extrafloral nectaries). The readability and the stellar photography in Good Garden Bugs make this a must-have resource in any gardener’s library. Next time you go out in the garden and you see an insect you can’t identify, consult Good Garden Bugs. You might just be getting a helping hand in the garden! Of full rain barrels and unwanted pests. Weather update in Calgary: it’s still raining. It would be okay to feel this coastal, I guess, except for the fact that we’re lacking a nearby ocean. So, really, it’s not okay at all. But we’re a chipper lot here – I can’t tell you how many times this week that I heard people announce, quite cheerfully, “At least my rain barrels are full!” I went out this morning in the persistent drizzle and planted an ‘Aunt Molly’ ground cherry seedling that I had started indoors a couple of months ago – of course, I am completely aware that we’ll have frost right around the time the fruits are ripening on the plant (that is, assuming it even survives to bear fruit), but I simply have to make an attempt. It’s “rain barrel-full” optimism! To repel ants– shave off slices of fresh cucumber and place them around the affected locations. The ants hate cucumber and will usually beat a hasty exit. I’ve actually done this and I found that some of the ants didn’t retreat; instead, they climbed onto the cucumbers and sort of floundered around until they died. I then picked up the cuke chunks and threw them out. It didn’t take long before my ant infestation came to an end. This one really works. To get rid of mosquitoes in your outdoor living room/kitchen: throw a handful of sage or rosemary sprigs on your barbeque coals while you’re grilling. The smoke and scent will keep the moskies away and you’ll have extra flavour for your meats and veggies. I’ve never tried this, but it’s a great tip for us Canadians, ‘cos we have mosquitoes here as big as houses. For slugs: run a line of ground ginger along the perimeter of plants you want to protect. Slugs hate the stuff, it irritates them. Used coffee grounds work the same way, supposedly. I’ve yet to find a slug in my garden (please don’t let this be the year), so I’ve never attempted either remedy. To make moths stay out of your closets and dressers, put cinnamon sticks or cloves in a cheesecloth satchet and place them inside the furniture. It will smell great and is definitely not as toxic as moth balls. Has anyone tried this? If you’ve got a problem with sowbugs and you can’t seem to get them out of all of the nooks and crannies of your house foundation, go and get yourself some big cobs of fresh, juicy corn. Grill up the corn on the barbeque, slather some herb butter on it, and enjoy it with a nice beef/bison/elk steak/roasted eggplant. Then take the gnawed-on cobs and set them on the ground along the perimeter of the house. The sowbugs will be attracted to the corn and you can just collect the cobs and throw them in a bucket of soapy water to kill the bugs. Again, I’m not plagued with sowbugs – does this seem like a good strategy to you? In the war against aphids, make a foliar spray out of water and chopped potato or tomato leaves (plants of the Solanaceae family have poisonous leaves) or the leaves of rhubarb or elderberries (which contain high concentrations of toxic oxalic acid). This seems like it should work, but I wonder how many applications you have to make? 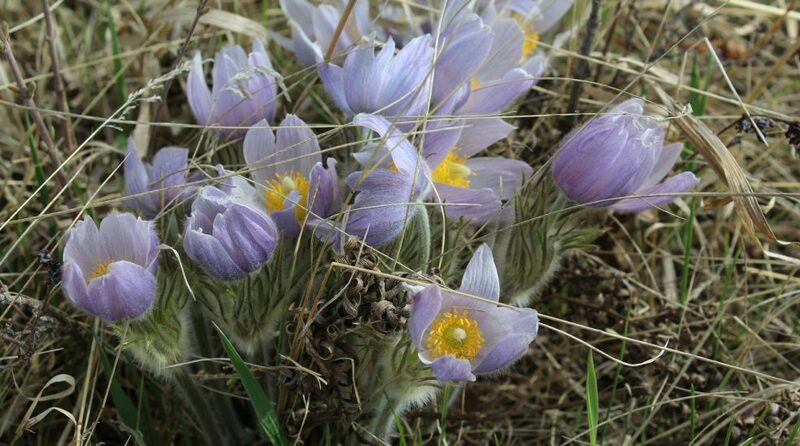 If you are plagued with hares, as I am, you can try sprinkling flour on young seedlings or garlic powder on mature plants – the long-ears won’t touch them. This remains to be seen – I will definitely test this and keep you updated. Starting your own seeds? Apparently you can brew up some chamomile tea and use it to irrigate your young seedlings (instead of mere H2O) – the chamomile will help prevent fusarium wilt (damping off). This is one I simply must try! As well, you can make a foliar spray out of chamomile, which will combat powdery mildew. Speaking of powdery mildew, supposedly if you mix equal parts of water and milk and spray it on the affected plants, the mildew will eventually go away. I guess you have to do this repeatedly, however, and wait a whole week in between sprays, so the whole process is probably lengthier than most people would care for. What do you think? (As most of these articles point out, you have to apply any pest control solution with caution. And, of course, remember that some of these remedies aren’t tested and true – and certainly not scientific!). There are a million other home remedies like these for home owners and gardeners – do you have any particular ones that you use in your own garden?